Following years as a successful and acclaimed classical musican, Jess Graham, aka Wren, has taken on her solo indie pop project. Following the release of her debut singles Here and Alive, the Sydney based songstress has just unveiled her stunning debut EP Raw! Tomatrax caught up with Wren to discuss her latest release! Where did the name Wren come from? I love birds and most mornings I wake up to the sound of their calls. I have always been fascinated by wings and feathers and the idea of flight. Birds are so ornate and beautiful and whilst appearing fragile their wings are so incredibly powerful. My Dad is a bird enthusiast and we were discussing my lyrics and how my songs often contain themes of flight. He suggested I name myself after a bird. We settled on the Wren, because they are a well known song bird, and whilst being small, are renowned for their boldness. What made you decide to use an alias rather than your own name? I enjoy so many different styles and genres that I felt like if I used my own name, it might be typecast. However, by picking a project name for the new style and genre I am developing, I have left myself the option of recreating myself. You’ve just released your debut EP, what’s it like to have it out? I feel very proud to have done it, as I am an independent artist and it has been such a great learning experience. I think the end product was really satisfying and the quality of the recordings is great. However, it is not in my nature to rest or reflect for too long …I am constantly writing new songs and recording new ideas and they become my focus. What made you pick Raw as the title track? Raw was an in-studio improvisation. I wanted to share a process that I sometimes use when I am musically exploring something that has deeply affected me. I wanted it to be almost like an impromptu expression of that. Words and lyrics can sometimes be ineffective in expressing how you feel, particularly when you are in the moment, and that is where I believe composition holds such power. I really like the notion that we all have lightness and darkness within us. The image, whilst beautiful, contains some slightly disturbing elements. For every thing, there exists its opposite – I wanted the artwork for my EP to express this. You will be going on the Raw tour next month, what can fans expect from your show? I will be performing my EP as a solo artist, with my main prop being my electric violin. I wanted to keep it simple, intimate and “raw”. My tracks all hold great significance as they musically describe events that have had a profound impact upon me. I will do my best to share this with my audience. Aside from the tracks on my EP, I will include a sneak peak at what I have in the works for 2015. I will also be performing a work I composed for a dear friend of mine, Mark O’Rorke, who is sadly no longer with us, to raise awareness and funding for beyondblue. Your bio describes you as a self confessed introvert, does being an introvert make it difficult to play your music on stage? Absolutely. When you are performing you have to give something of yourself. If you hold back, you miss that powerful connection. However, I do suffer from performance anxiety and due to the personal nature of my lyrics, I do find I become quite nervous at the prospect of sharing it with an audience. I would love to say I don’t care what people think about it, but when that thing is very much a part of you, it’s hard to remain detached. You spent years playing classical music, what inspired you to change your musical focus? Actually, it would be what I would describe as a “happy” accident during my HSC year at high school, where I was majoring in Performance. I fell down the stairs and cut my left wrist on glass, severing tendons and nerves. I had to undergo microsurgery and evidently violin was off the cards. I wasn’t able to claim any sort of compensation for my accident so I was forced to change majors. I chose composition, convinced I would be terrible at it and would fail my exam. However, miraculously, I took to composition like a fish to water. It was as though it was the missing piece. I began playing other instruments and singing to alleviate my performance cravings, and that in turn led to contemporary composition. How does playing classical music compare with making “Wren” music? Whilst classical music is a great love of mine, performing a work that has been written by another never quite holds the same freedom and inspiration that composing ones own work holds. You’ve played a large number of instruments, do you have a favorite instrument? Electric violin – hands down. It feels like an extension of me. I am so familiar with it that it feels as natural as breathing. Is there any instrument you’ve wanted to play but are yet to? The cello. That deep, rich sound seems to command me like no other instrument. It is my absolute favourite and I vow to learn it. It’s definitely on my bucket list. Yes I do. I am very critical of my work and am always looking for ways to improve. I do not listen to it so much for enjoyment purposes, but more so to analyse how I can take it to the next level. I am really into music for film and tracks that incorporates cinematic elements into it. However, some contemporary artists that I am listening to on repeat at the moment are alt-j, David August, Ásgeir, Sigur Rós, Glass Animals and Bonobo. What do you plan on doing after the Raw tour? I already have the majority of my first album composed and my next step would be to home record some demos and orchestrate the string sections ready for the studios. I really want to go even further with these orchestral arrangements and create a highly cinematic sound with contemporary song structures. I will also be trying to collaborate as much as possible with electronic musicians and producers because I believe that combinations combining my classical training with their technical knowledge would be highly complimentary. 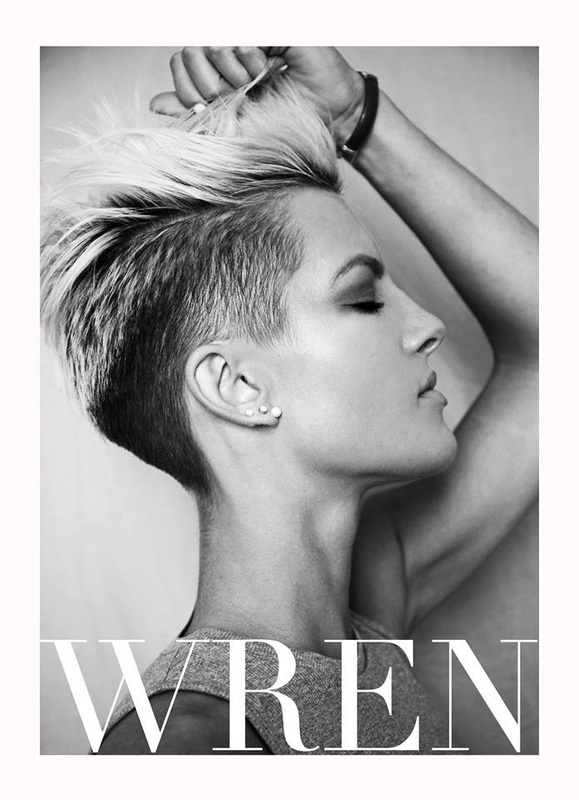 My music is very different and I was aware of this fact when I began to embark as “Wren”. As such, my expectation was not necessarily to initially sky rocket to success, but more to share a piece of myself with others and to write and record what I love; what really moves me. If it moves others too, then that is absolutely wonderful.